It’s exciting when you have a new feature — but we have been patiently waiting for just the right moment to let you know. On Monday, April 1st (hopefully this explains the wait), your favorite press release distribution service has rolled out a new Google Map embed feature. Google Maps SEO. Local SEO marketing. This new update will bring you an edge in your press release game, especially for local small businesses. In fact, you can try it out now! Simply embed your Google Business location right in your press release using these 5 steps. First, visit maps.google.com and search for your exact location in the search bar. Once you have discovered your exact location, click Share on the location profile. 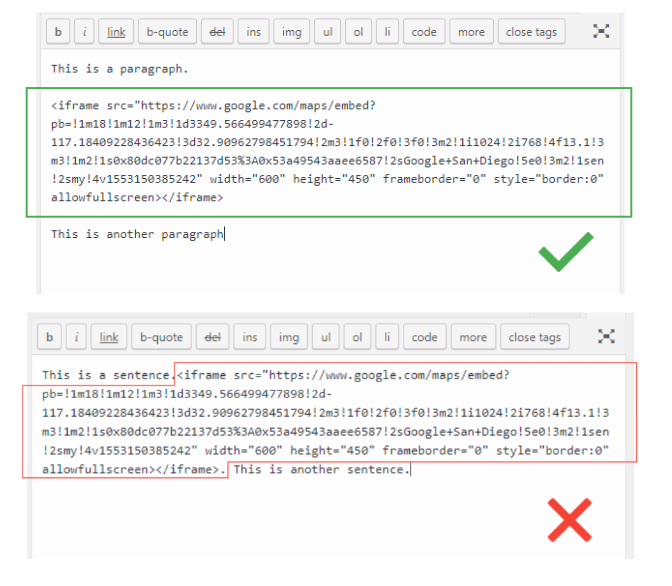 Select Embed a Map and click Copy HTML to copy the iframe code. Next, go to your press release submission form and paste the copied HTML from Google Maps into your text editor. One important note is to make sure the iframe code is in a standalone paragraph within its own p tag. The last step is to submit your press release. Once submitted, the embedded map will now be ingested and distributed to the hundreds of media outlets upon approval. Eye-catching right? Well, that’s the goal! So head on to your MarketersMEDIA account and try embedding a Google Map in your press releases now. However, if you’re a curious George to know why we are rolling out this feature or how embedding a map can help with your marketing. Stay tuned. 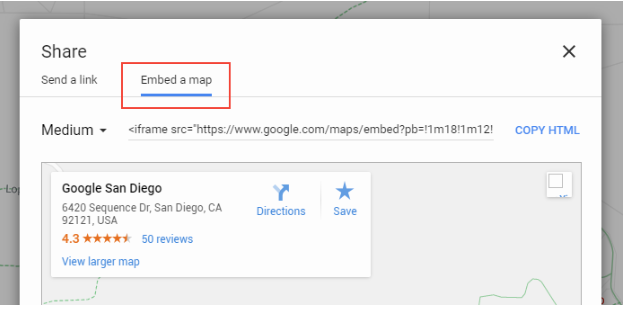 Why did we add Google Maps Embed? Well, the short answer is to make YOU visible. Consumers are simply using Google Maps to locate businesses, whether it is to find the nearest florist for a last-minute valentines day gift or a nearby plumber to fix a broken pipe. Besides, we noticed that a huge chunk of our clients were offline businesses who were sending press releases for online visibility and authority. It is important for them to be on Google Map. So, the next question is how do you put your business on Google map? Well, if you’re an established business, chances are your business already exists in the Google My Business directory and all you need to do is to just claim it. New businesses or new locations, on the other hand, will probably have to be added. If you are the business owner, you can provide details about your company information on Google Place to have it added to Google’s network. 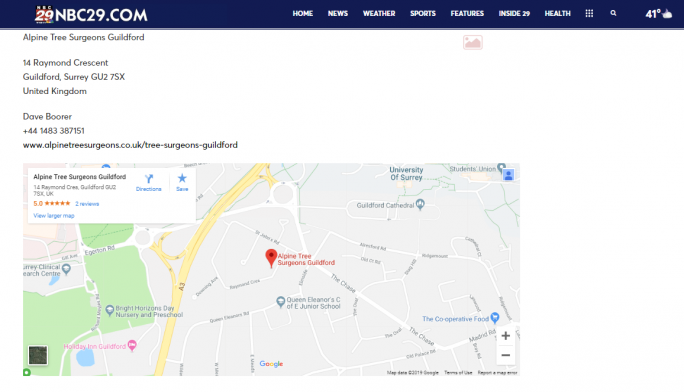 This will enable your business to be located on Google Maps by customers who do a search relating to your company’s name or the services you offer. Also, your location will be mapped for easy access to your establishment. Then again, visibility aside, there are many more perks that adding a map to your press release will bring. Think about it. There is no button in a press release. Your anchor texts or your website link to go for more information may or may not be clicked on very much. There’s simply no clear CTA message directing readers on what to do next. Strategic call-to-actions are important to guide your readers through the funnel into the journey of becoming a buyer and advocate. Having a map embedded on your press release does just that. It creates an interface that is visually rich and encourages your users to interact with the press release. It can bring out the most natural course of action for your audience to click on it. A simple and effective CTA. 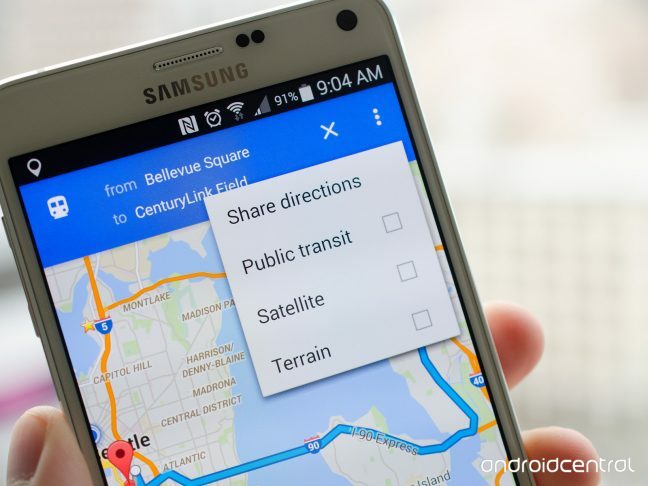 At a glance, Google Maps reveals a lot of information to readers. From your company address to the layout of the roads, and even reviews, these are information that is important to let your readers know. 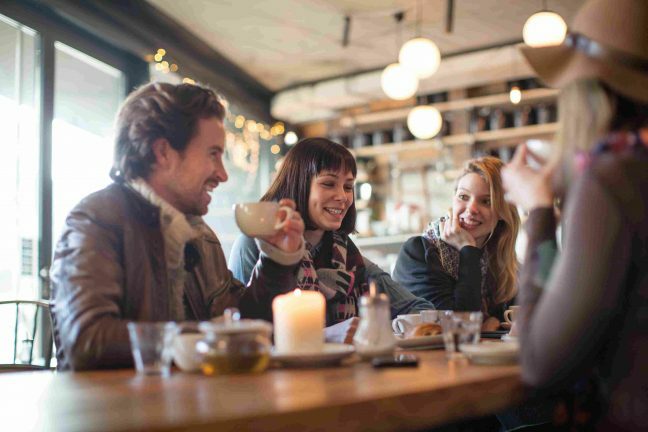 Because as they learn more about your company, they establish a better connection and interest. A good rating especially is a vouch of confidence that often brings massive conversion in results. Now, that’s just from the map embedded on your press release. Imagine if people tap on your map, they would have opened the locations of cities and towns, satellite images, street views, availability, and much more information about you. Not every audience on your press release will be motivated to remember you or copy and paste your address to check out your location on Google Maps manually. By adding a map on your press release, it saves customers the steps of opening maps in another window and copying over the address. Remember, people shouldn’t have to copy-and-paste the text of a street address into a map to discover your location. That’s a step many people won’t take, and it may be costing your business. Besides, having a map on your press release also offers your audience an option to share the location to family and friends，opemning up new opportunities. If they really like your product, services or ideas and wish to contact you personally, they might even save your place and visit it the next day. 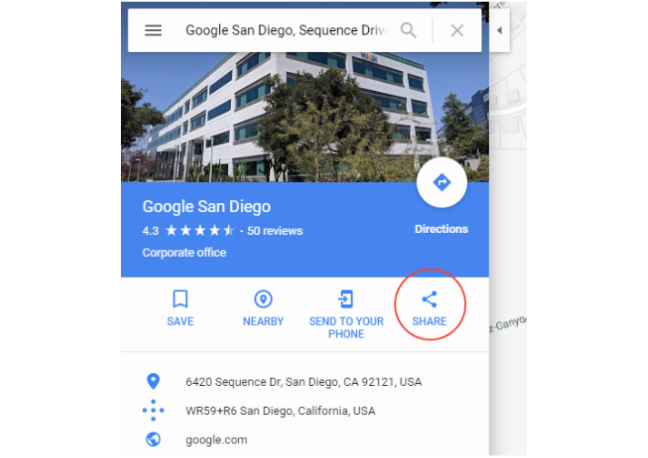 Having a Google Map also makes it easy to find business contact information, and eliminate any inaccuracy when it comes to finding your location. The same also goes with your phone number, website, and other data that Google knows. Most importantly, everything is at one place making it easy for customers to access your information right away when they need it. Needless to say, having Google Maps is definitely going to attract relevant clients, and by simply sharing your location it is going to get the right targeted audience. In fact, it has been proven to encourage lookups of driving directions. So get ready for more actual traffic when you send your next press release embedded with a Google Map! While not one of the top ranking factors for local SEO, embedding a map in your press release can do you no harm. In any case, it strengthens the effects of citation whenever you send a press release, and this plays an important role in Local SEO. It is actually the key foundation of ranking high, as it constantly reassures Google that the business is indeed located there. And Google confirms this by seeing how many times the exact contact details of the business (Name, Address, Phone number) appears on local and related websites. When these contact details are identical everywhere they appear online, this sends a message to Google that the business address is genuine and accurate. So this is where press release comes in. When you submit a press release to a news distribution service like MarketersMEDIA, it gets syndicated to several hundred authority news sites like Reuters and Yahoo News. Google trusts these sites so that creates authority backlinks to the business website, along with the NAP details that are included. When you include a map in your press release, this further works in the favor of Google Maps SEO which will help boost your local SEO ranking. So, at the end of the day, what do you think? Do you make use of Google Maps to identify and locate your business? Comment down below.